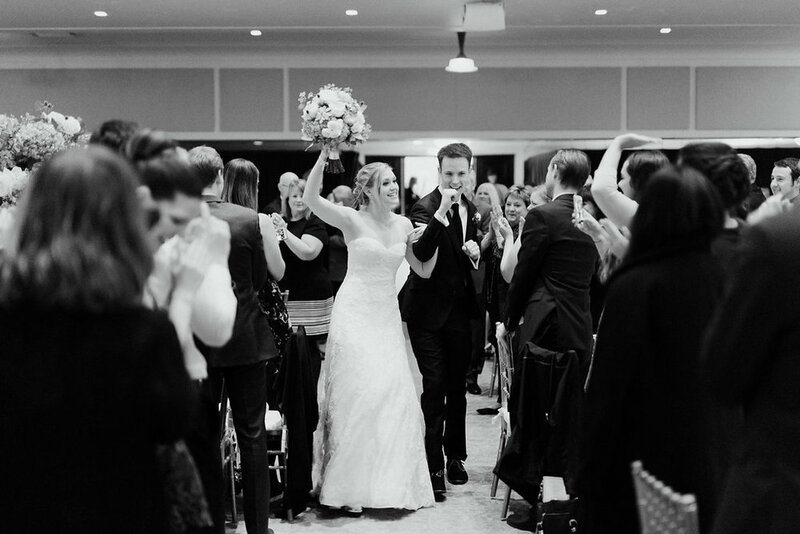 Christine and Austin's wedding was certainly a night to remember. 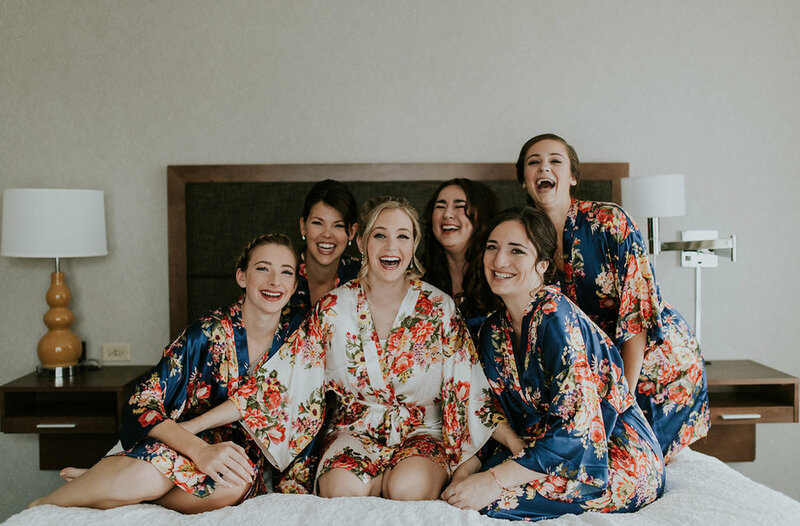 Their special day was not only stunning, but it was filled with so much joy too!! Plus these two are total sweethearts. The day started off at the Hampton Inn before we headed over to Loyola University's campus for the rest of the festivities. 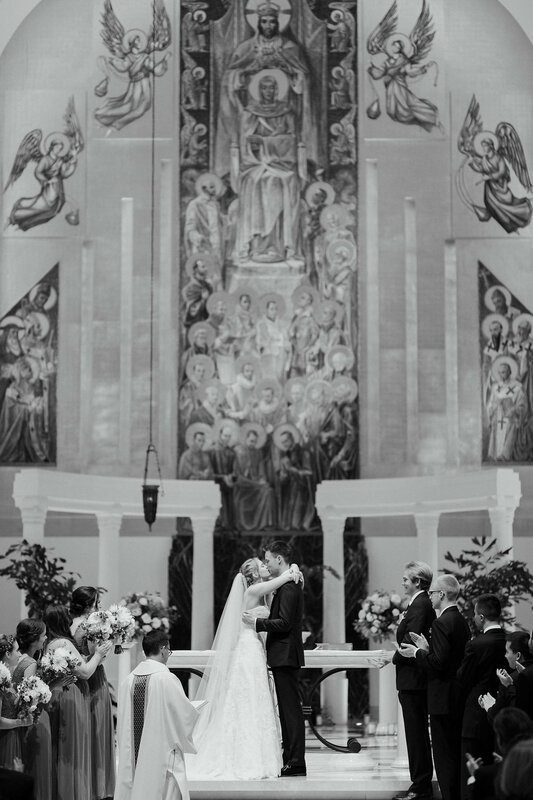 Christine and Austin selected Madonna della Strada as the church in which to tie the knot. 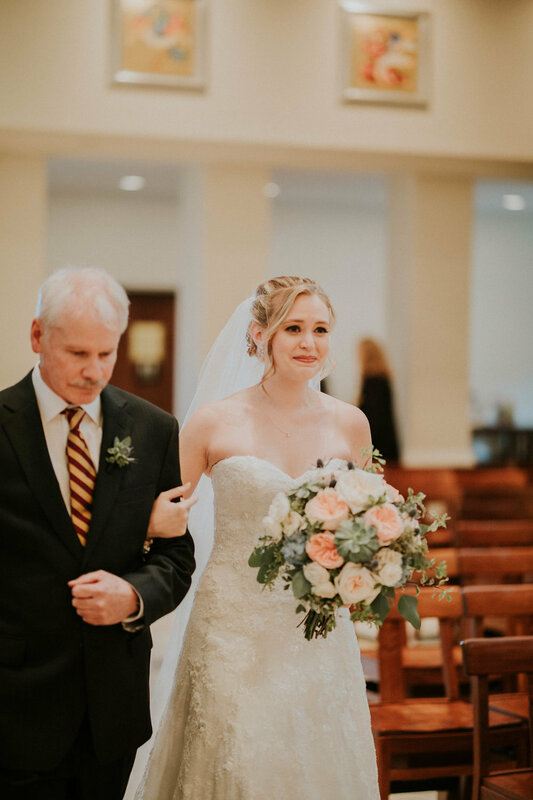 They kept up the tradition of not seeing one another until Christine walked down the aisle, and did that make for an emotional walk (not a dry eye in the crowd!). No matter how many times I witness couples say "I do" in that church, it still is incredibly moving every time. 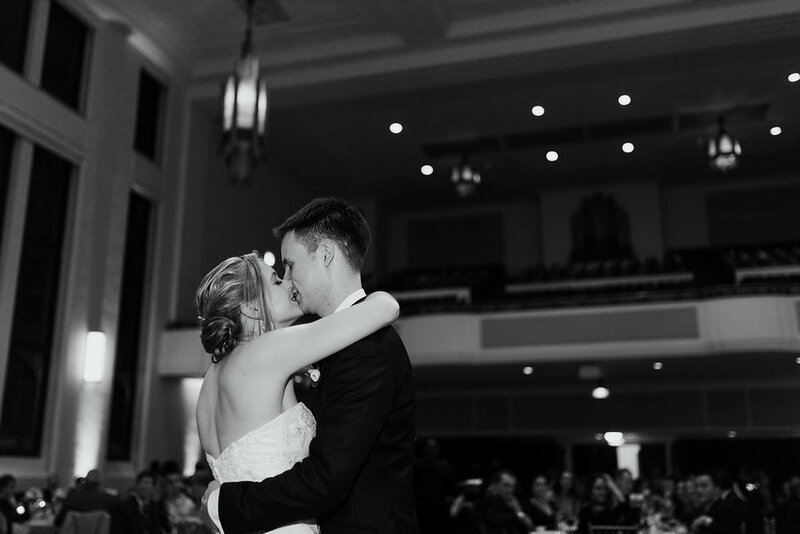 In part, because I love when my couples finally get to commit themselves to one another! And in part, because the sanctuary is just so incredibly gorgeous! 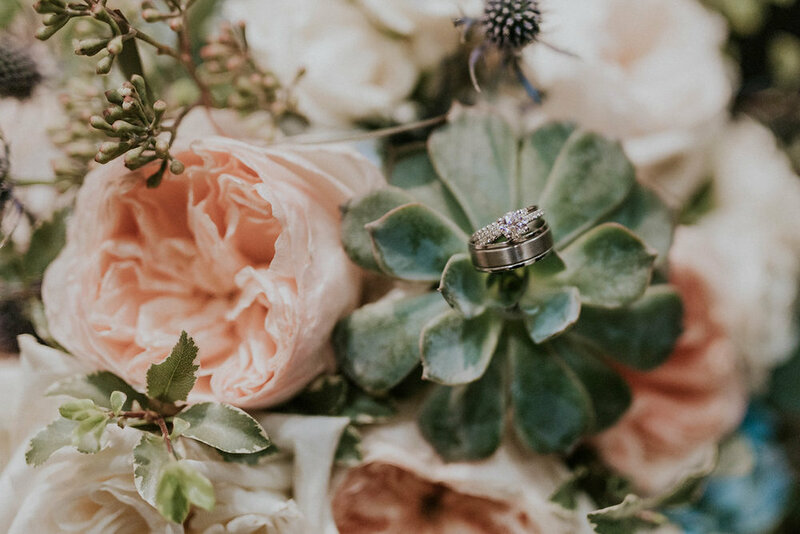 Be sure to also take a look at the flowers... the florists at Vale of Enna outdid themselves with the arrangements they produced for every part of the day. The cocktail reception continued at Piper Hall on the lake and guests moved to the Mundelein Auditorium for dinner and dancing. And boy did the evening go late! There was a live band and the groom even got up to perform a 15 minute set part way through the evening! The floor was hopping! 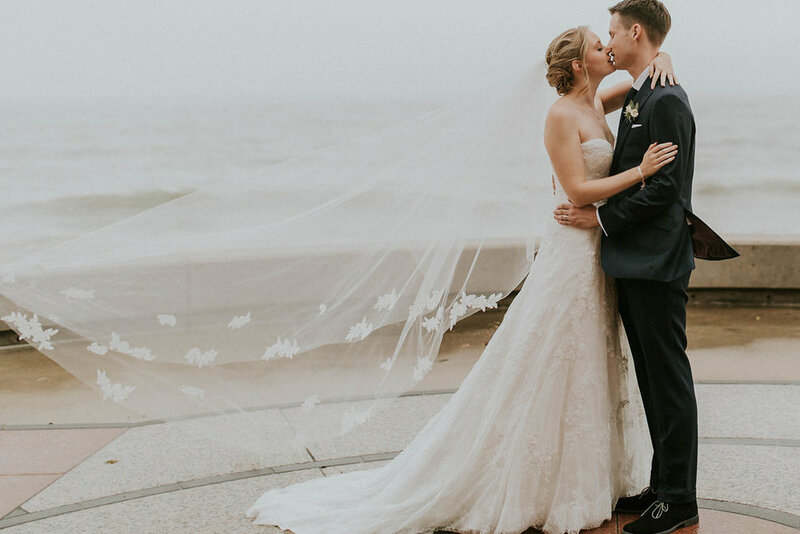 These jaw-droppingly beautiful images were captured by Leigh Ann Cobb Photography. 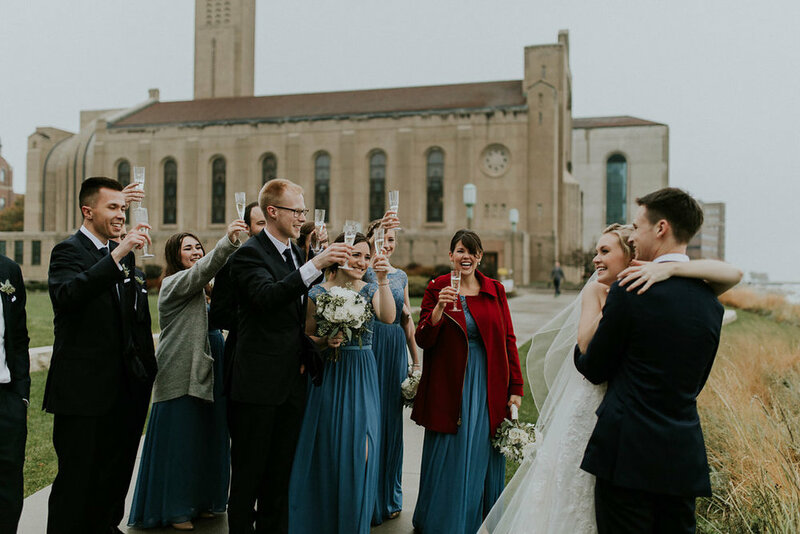 Other amazing partners we worked with on the day included: Loyola University's Conference Services (venue), Aramark (catering), Vale of Enna (flowers), Pin Me Up Chicago (hair), Makeup and Skincare by Jamie (makeup), The Mix Musical Services (emcee and band) and Magbooth (Photobooth).